Any police officer found guilty of negligence for vehicles involved in an accident will be disciplined. 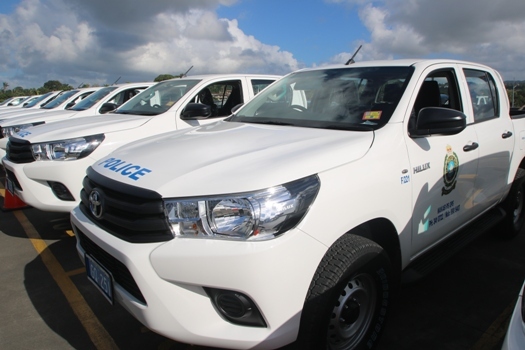 This was the stern warning issued by the Commissioner of Police Brigadier General Sitiveni Qiliho to senior officers as ten new vehicles were handed over this morning. The Commissioner says the onus is now on officers to ensure the vehicles aren’t misused or abused. Brigadier General Qiliho says he doesn’t want any complaints about services linked to the lack of transport because people are watching their every move and expect service delivery to be on par. He adds that photos of police vehicles involved in accidents go viral on social media and that is a reflection of the high standards which the public expects. The vehicles have been distributed to the West, South, East and specialized units.